Let the Craziness Continue! You may not know who we are, but by now I hope you’ve seen a few of our products. We love our customers! We watched Prepper’s work for 20 years and spent 2 years and a lot of money developing “The Tape Caddy”. The Caddy is a sister product to the already successful “Tape Thing”. 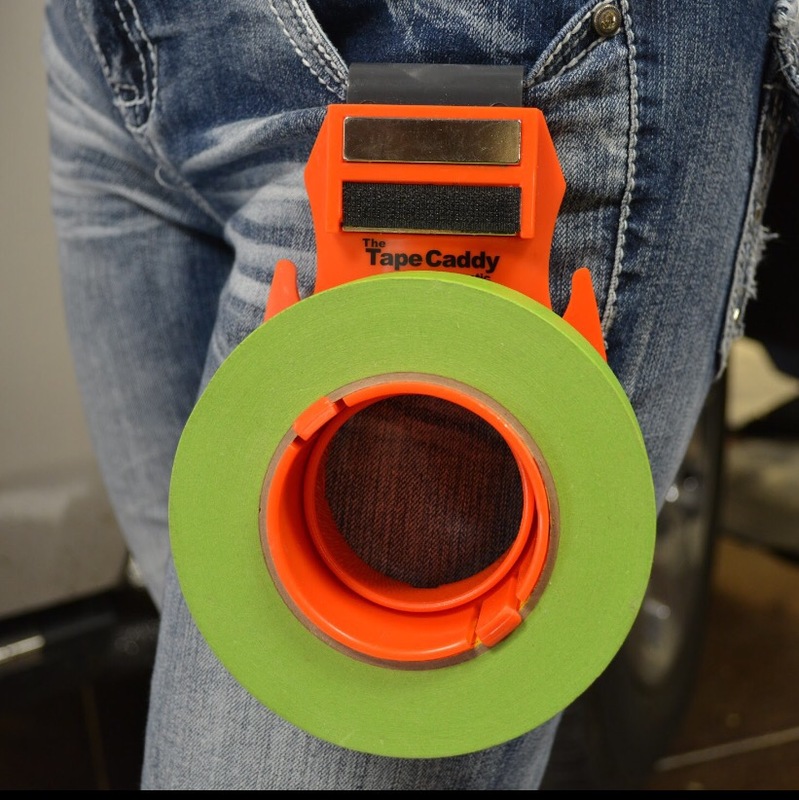 The Tape Caddy keeps everything you use to prep a car within arms reach. No more looking for your tape and other common items. It’s all clipped convienently on your pocket. It’s ergonomically engineered to feel invisible. You guys who use tape will love it! We started Collision Edge to bring new solutions to old problems for You Collision Centers everywhere. We are a family business focused on doing the right thing for our kids future. We operate from our little barn in The Chatahoochee Hill Country South of Atlanta. We are far from done with our offerings. Check out our The Estimating Sticks and The Dent Viewer now in “XL” also! Please call us if you have questions. Ginger and Pam will be glad to help you. (770) 328-5666.